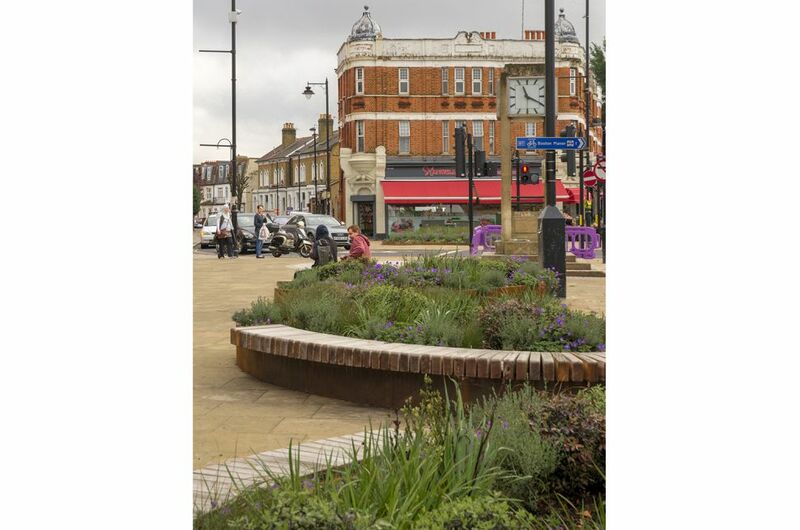 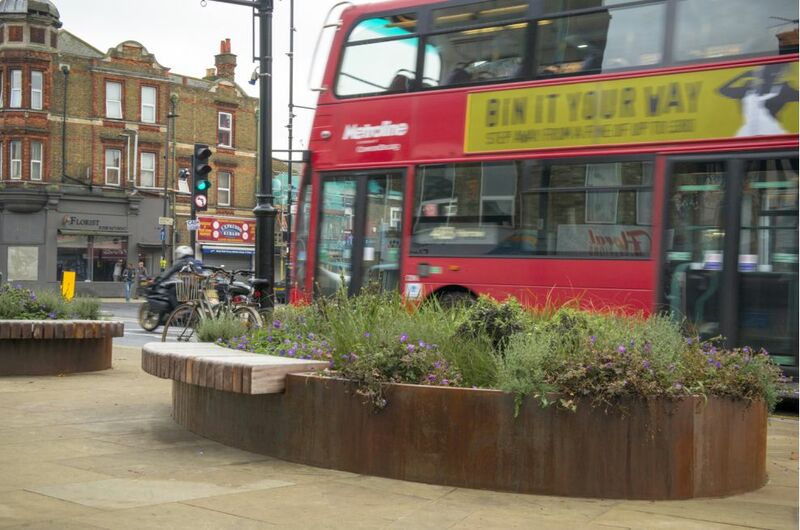 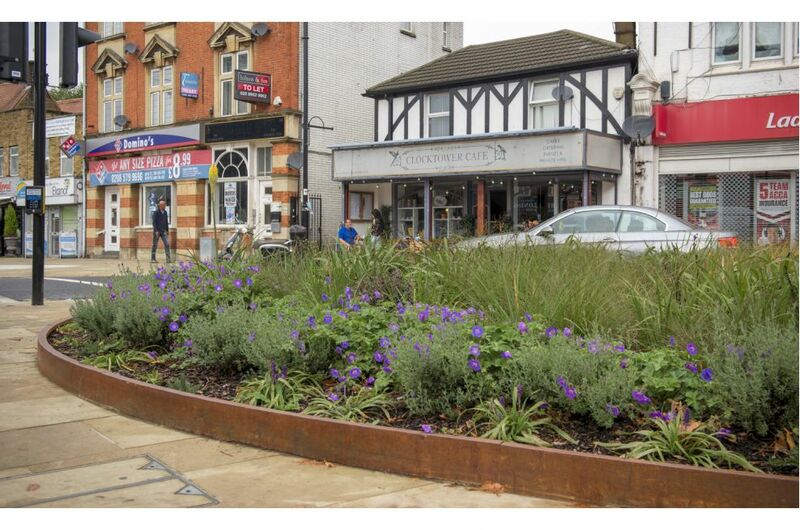 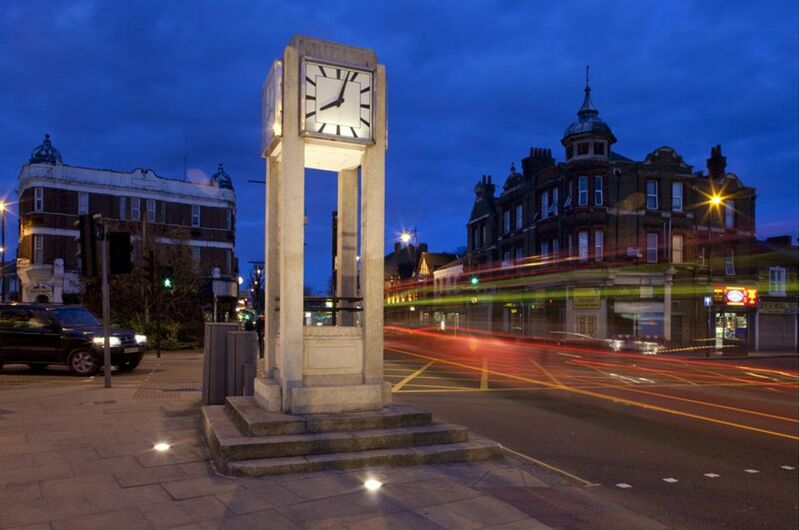 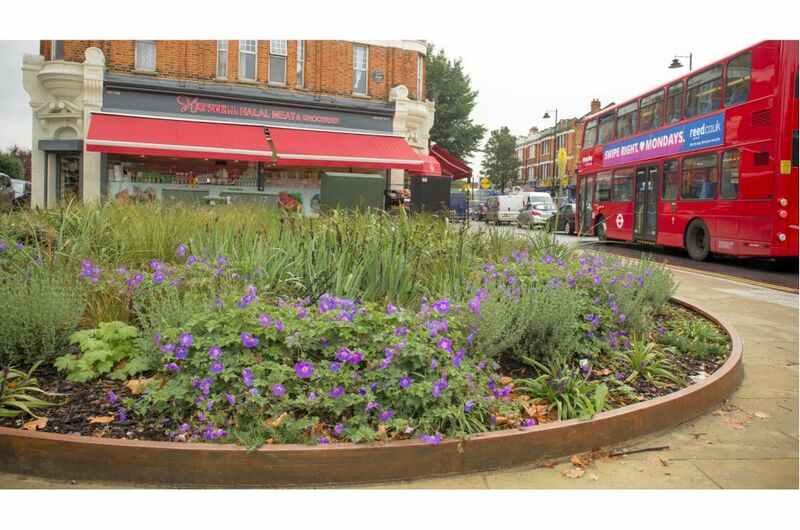 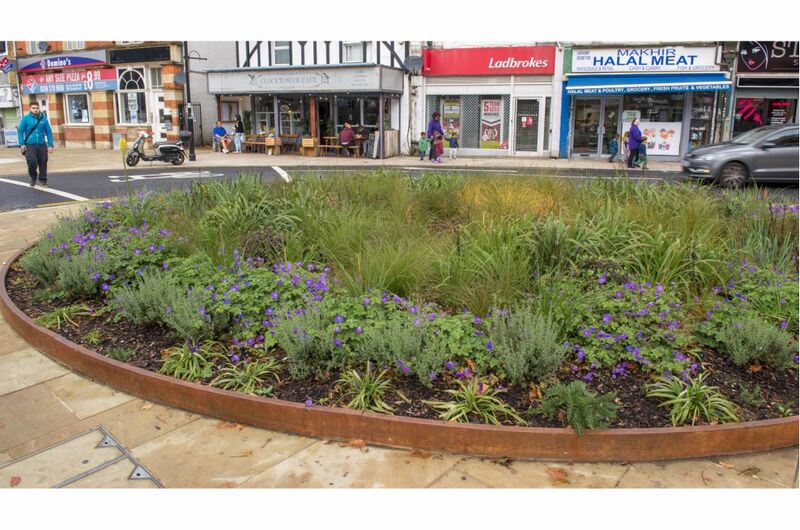 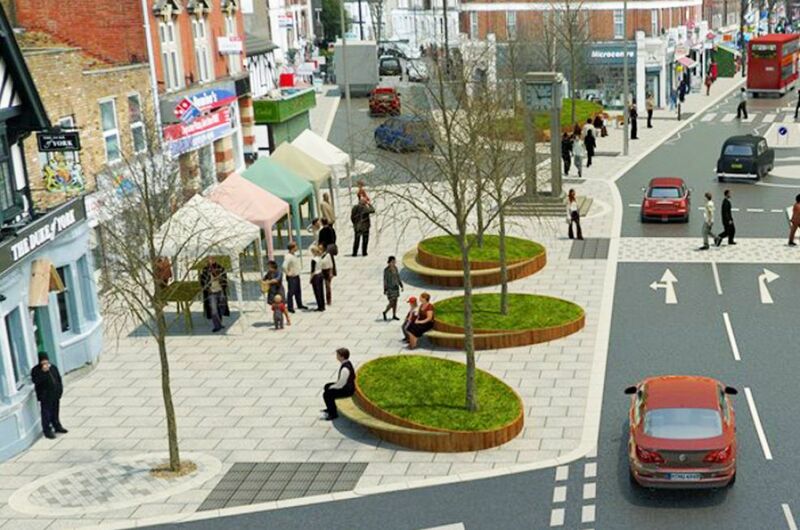 Bespoke Corten Steel planter-benches were specified by Ealing Council, as part of an extensive programme of highways and public realm improvements in Hanwell. 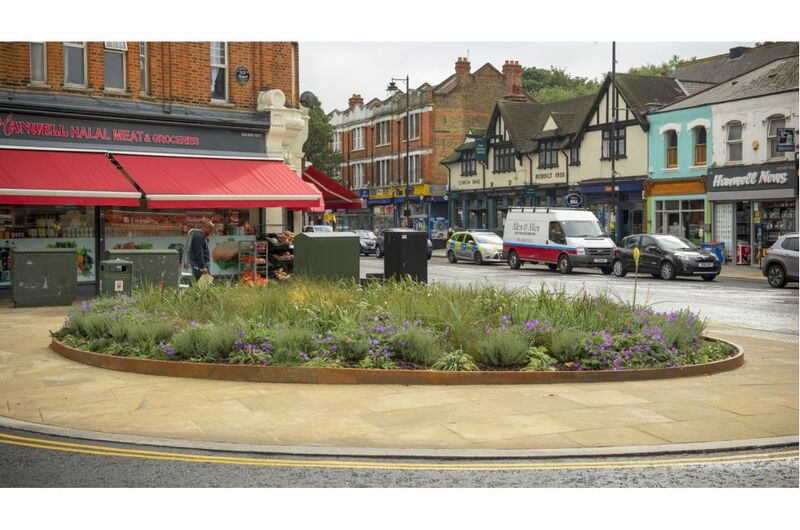 The planter-benches green a newly paved pedestrian area around the historic Hanwell Clock Tower, at the junction of Boston Road and Uxbridge Road. 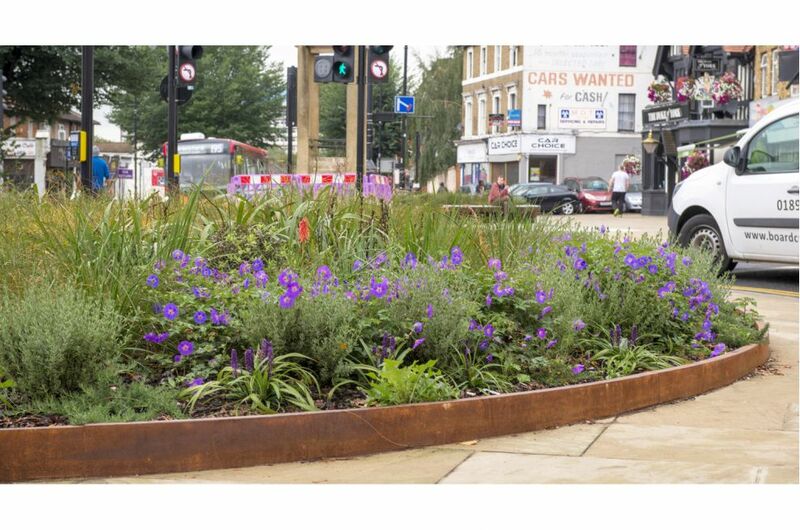 Note: Some of the images in the gallery show the Corten steel as being grey in colour. 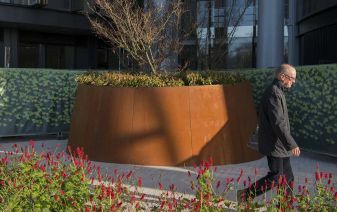 These images were taken immediately post-production, and the Corten Steel had not yet weathered into its characteristic patina. 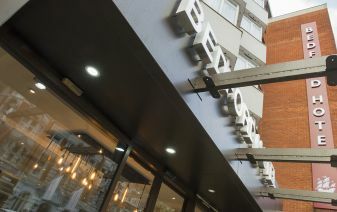 3nr. 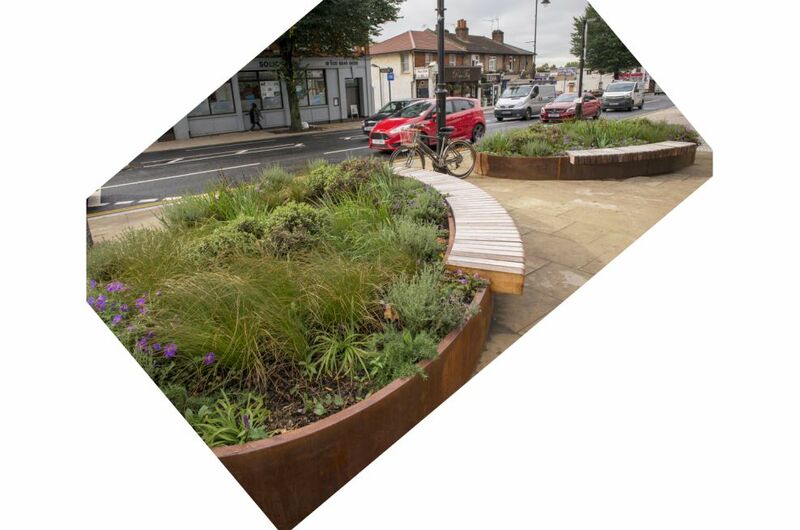 planter-benches were supplied, each in an oval configuration of dims. 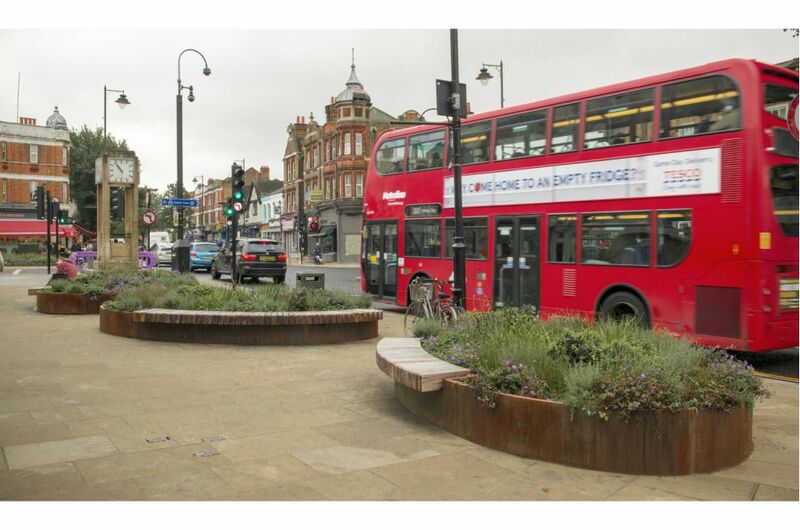 L 5000 x W 3000 x H 620mm; and a further oval-shaped L 9328 x W 7625 x H 300mm simple planter [i.e. 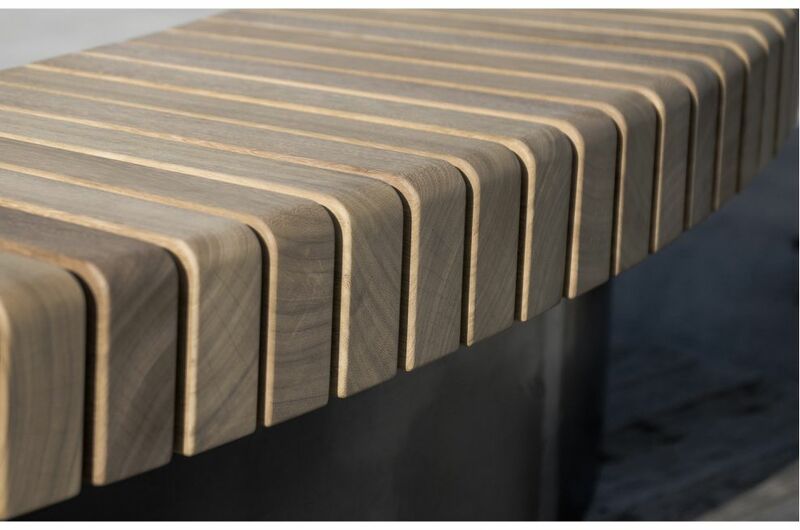 without benching] was also supplied. 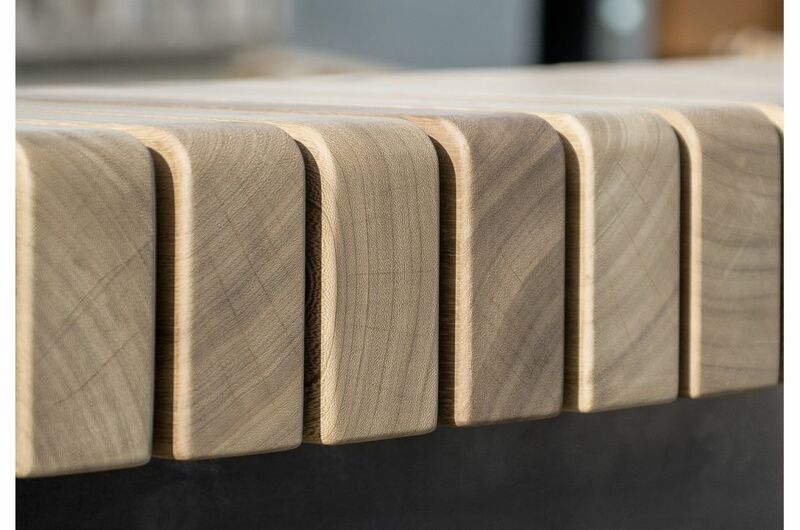 All 4nr. 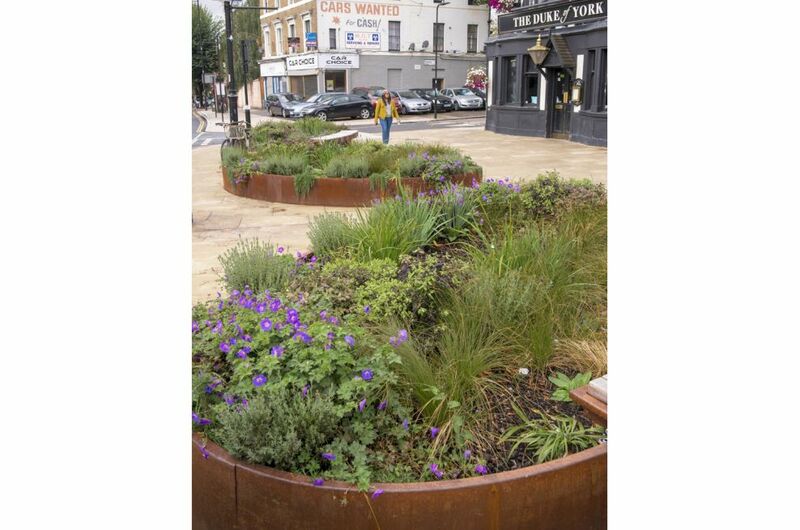 planters were manufactured from 4.0mm thick Corten Steel, rolled to form the specified shapes. 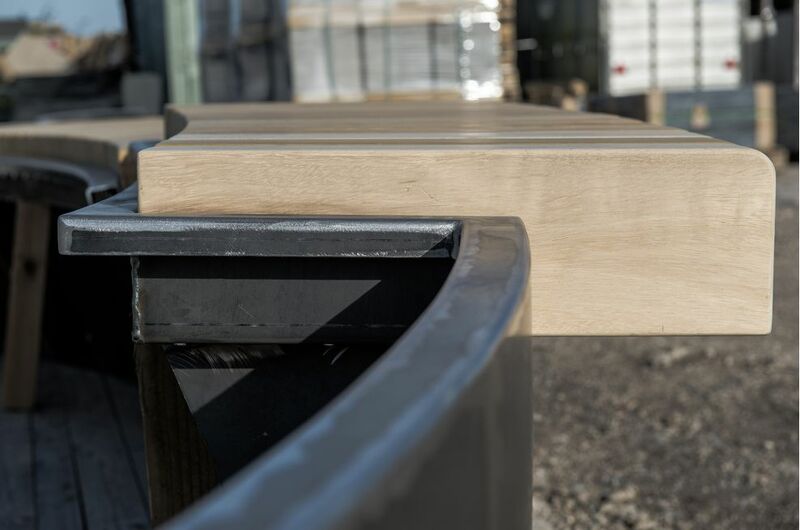 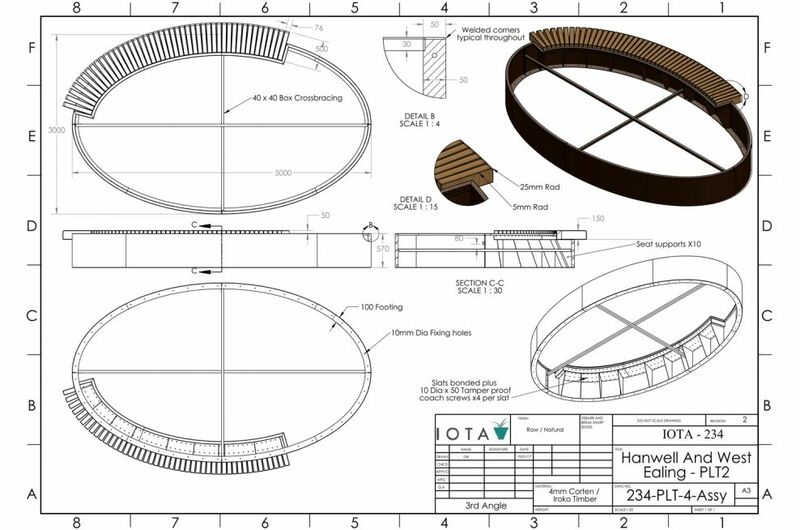 Oval forms create a particular challenge when rolling steel, as the radiuses are not constant around the circumference; a challenge which was exacerbated in this project by the very large scale of the planters, which required them to be sectioned for on site assembly. 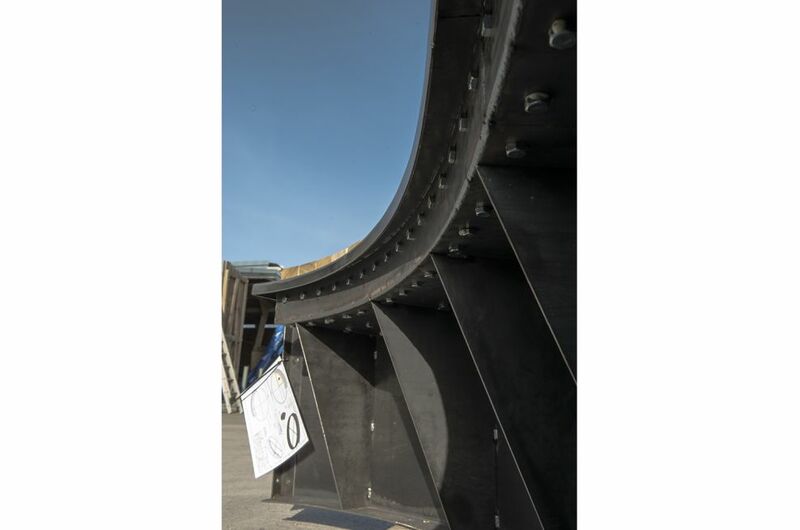 All steel fabrication was fully-welded and faired; and the design included both a top rim detail, and a 100mm stabilising footer at the base. 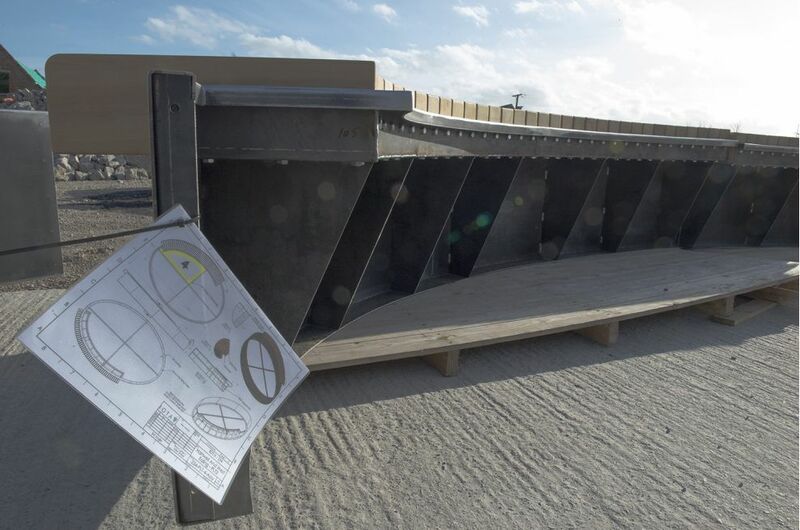 The 3nr. 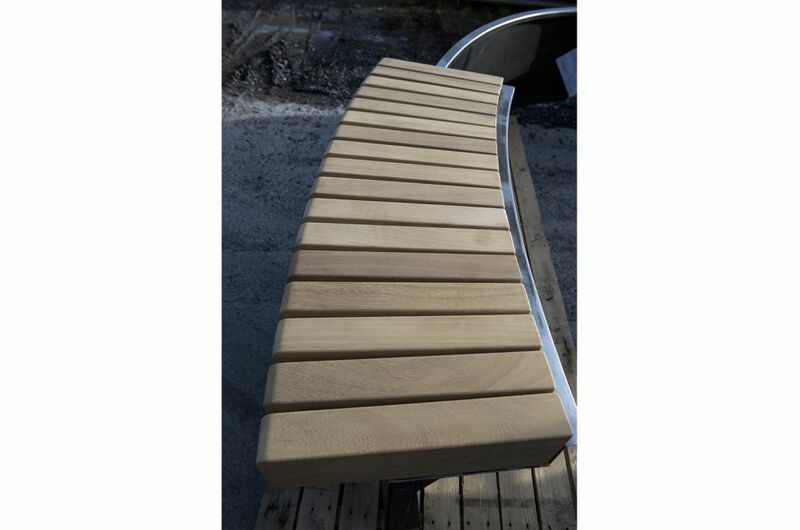 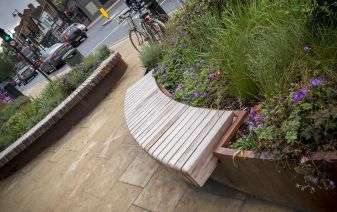 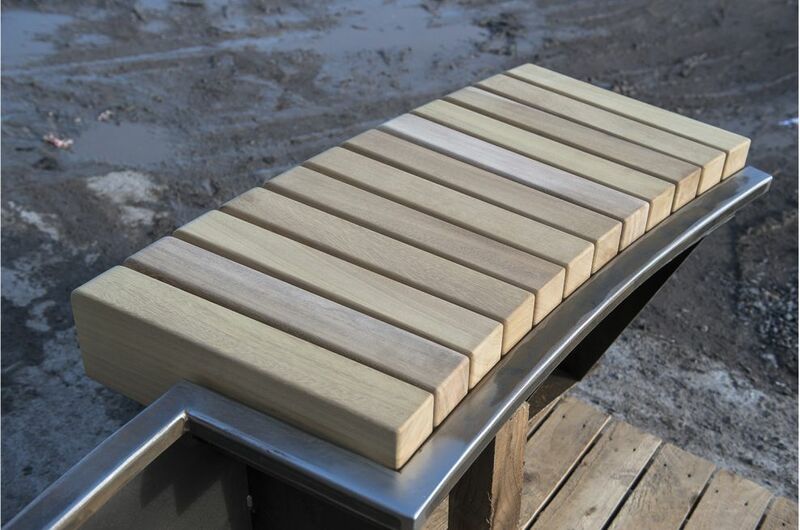 planter-benches include substantial L 500 x W 70 x H 150mm Iroko FSC timbers, raised 50mm above the level of the Corten steel. 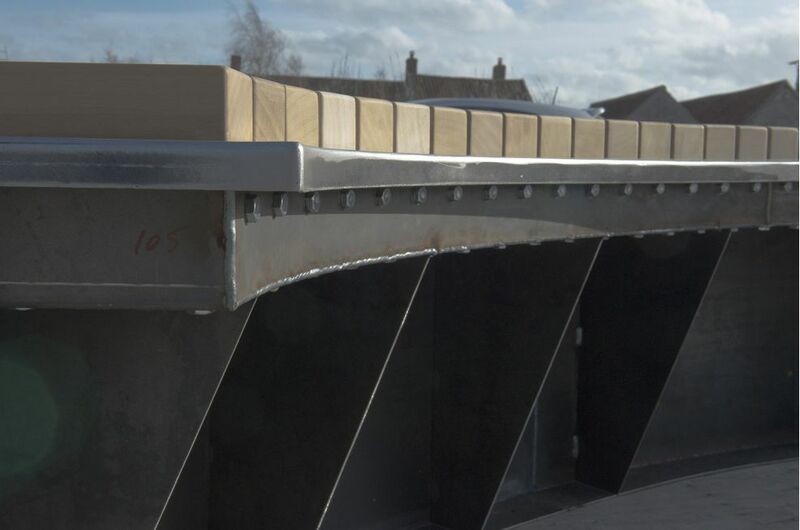 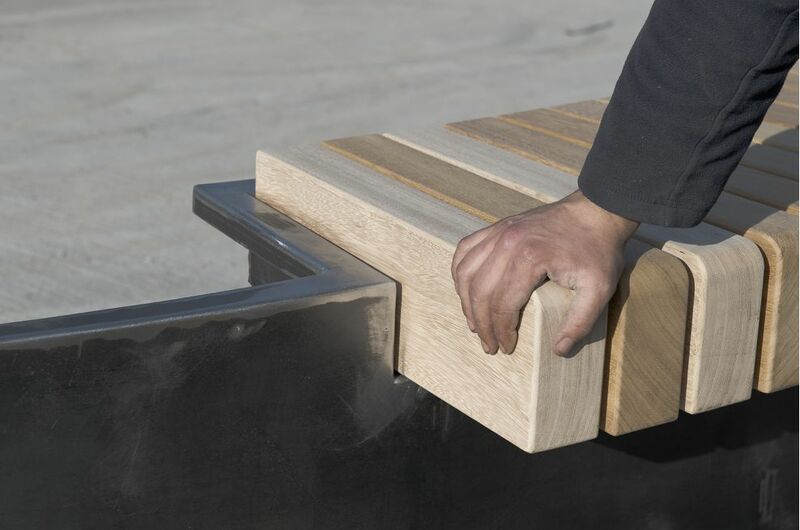 The timbers are both chemically bonded and mechanically fastened to a Corten Steel, gusset-reinforced ‘shelf’ set inboard of the outer circumference of the planter [see Shop Drawing in Image Gallery for further explanation]. 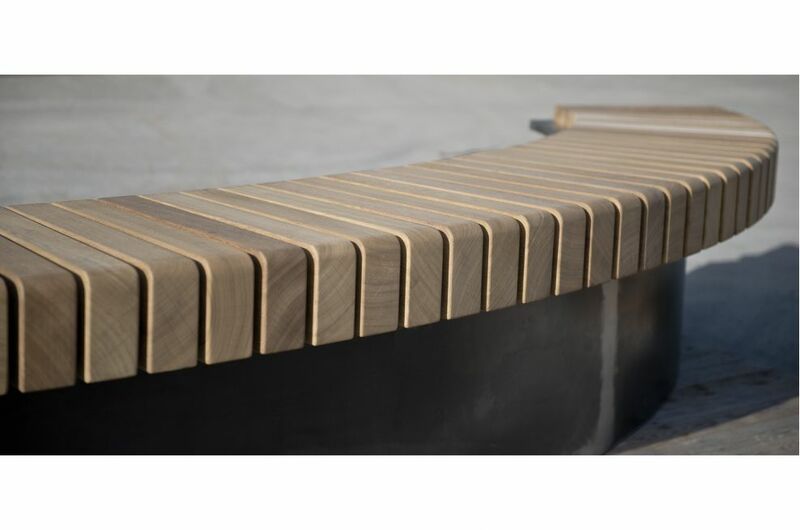 Both the material specification, and the robustness of the fabrication, guarantee that the planter-benches are eminently suitable for the rigours of inner city public realm. 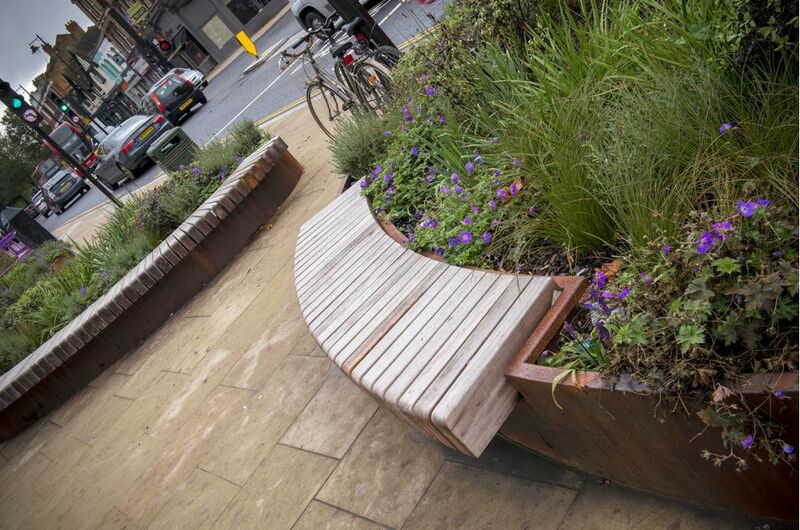 The essential planter-bench concept and design was by Project Centre, with design development and detailing by IOTA. 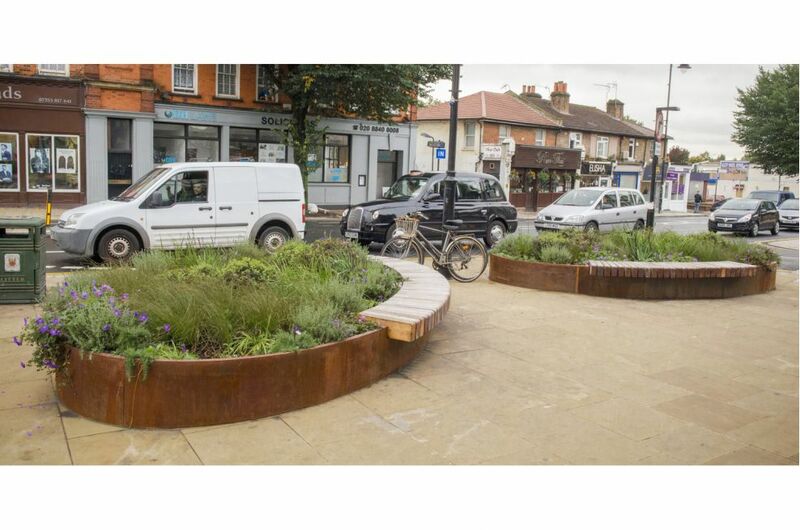 IOTA’s delivery was on the basis of design, manufacture and supply, with installation conducted by Murrill Construction.